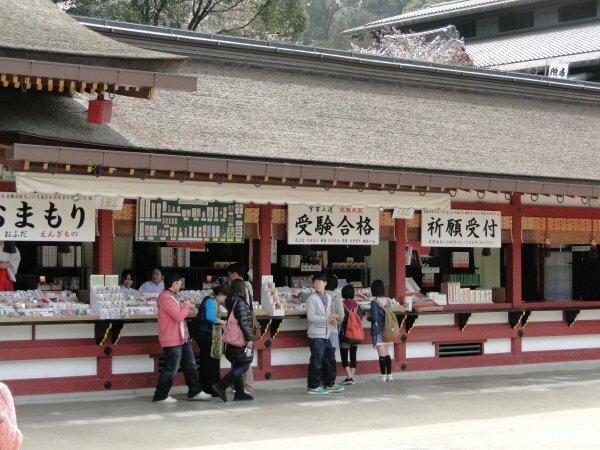 Dazaifu City and Dazaifu Tenmangu Shrine "大宰府天満宮"
Dazaifu City was established approximately 1,300 years ago and which ruled all of Kyushu for a period of some 500 years. 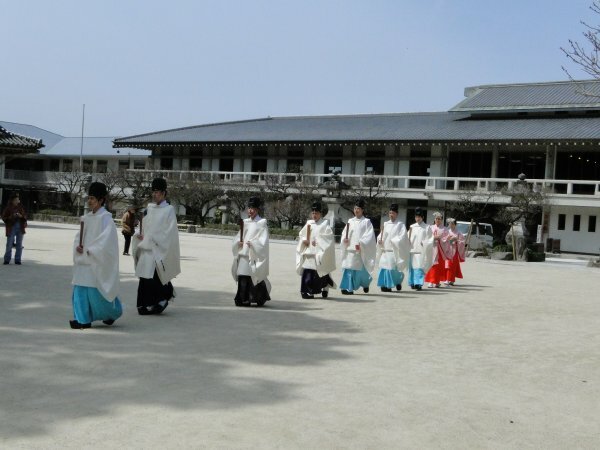 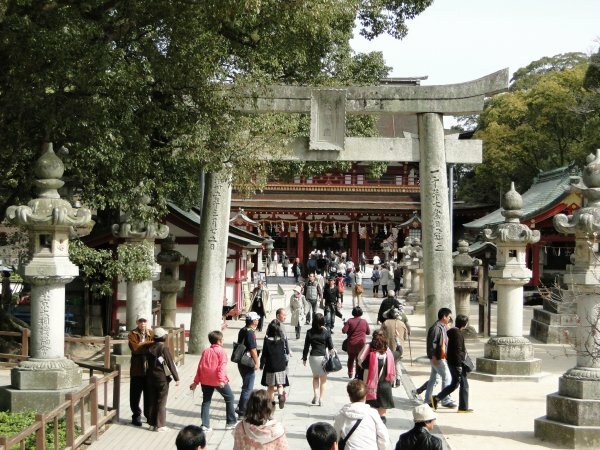 Dazaifu Tenmangu Shrine is sacred to the memory of Michizane Sugawara, also known as “the god of learning.” In 901 A.D., Michizane was suddenly demoted from his position as Minister of the Right and sent to work at the Dazaifu, where he died two years later. 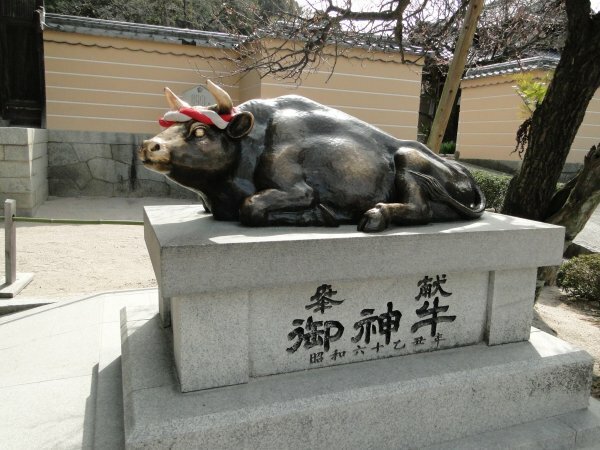 Tenmangu Shrine was built on the site of his grave. 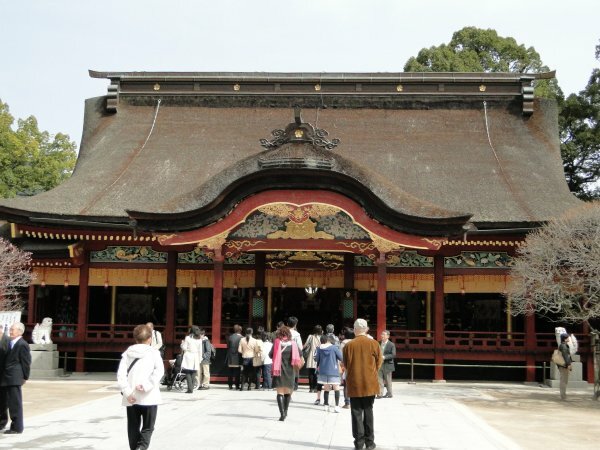 The main hall, as it stands today, was constructed in 1591 A.D. and is registered as an Important Cultural Property. 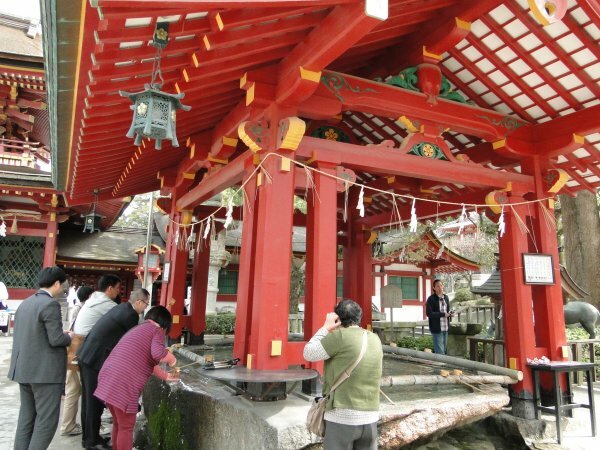 Within the Shrine precincts are many plum trees, camphor trees, and irises, which provide natural beauty in every season of the year.